A large trough will build in the western half of the country. 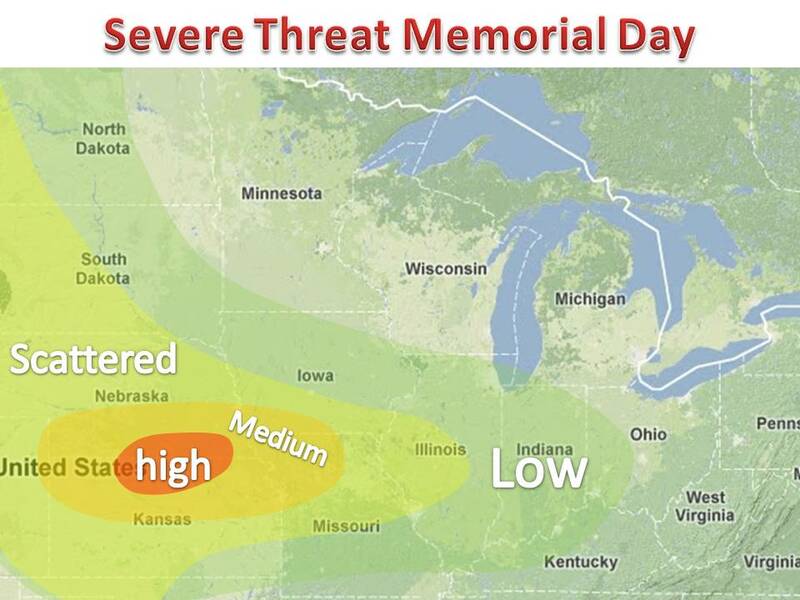 This feature will lead to a prolonged severe weather threat for the Midwest all week long. Here is the threat for today as the warm and humid air begins to build. 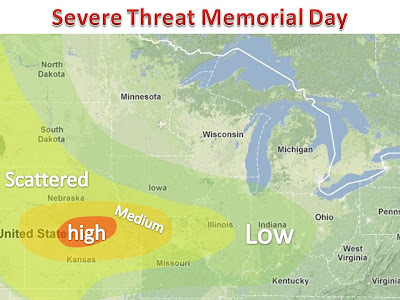 More severe weather tomorrow and through Friday. Stay tuned.